Financial buildings, shown above, are an area NEGM is slowly breaking into. 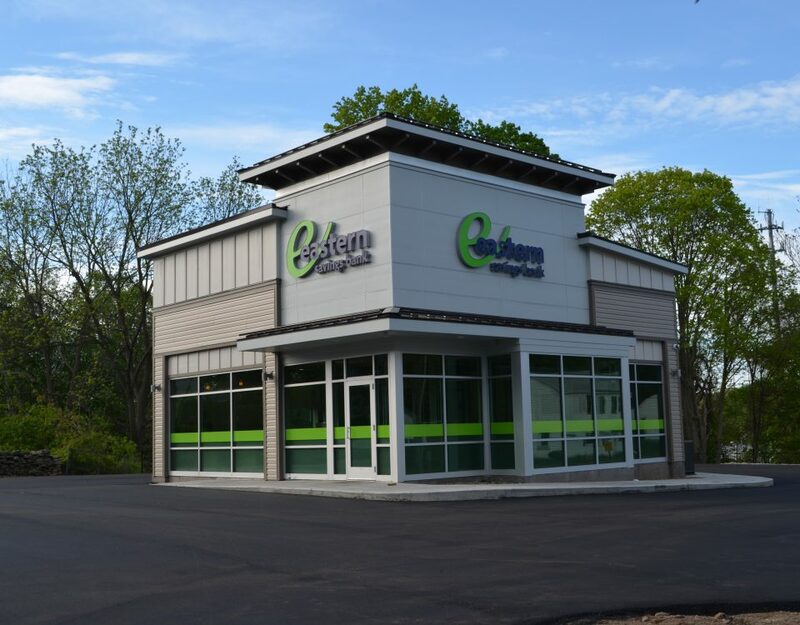 There is word of numerous new bank locations popping up in the area that we are looking forward to chasing. Proximity is a key aspect in having a competitive bid and subsequently being awarded a project. 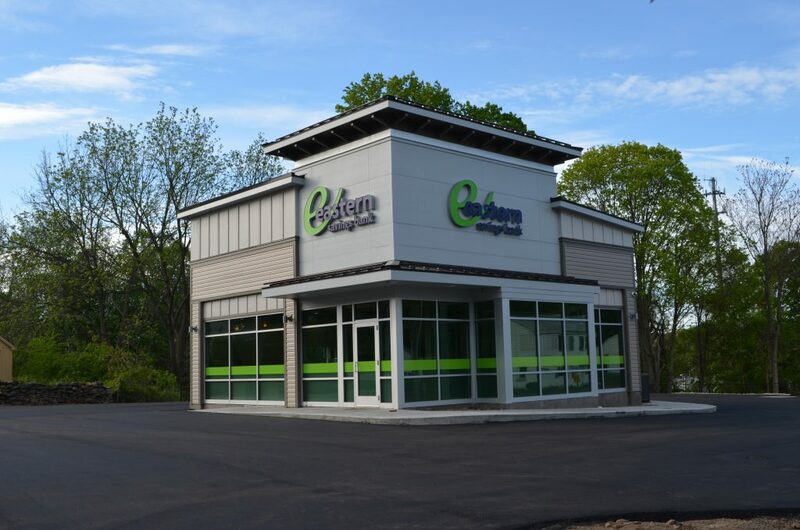 We have recently completed another Eastern Savings Bank directly across the street from the industrial park. Our guys could pretty much walk the material to the site. 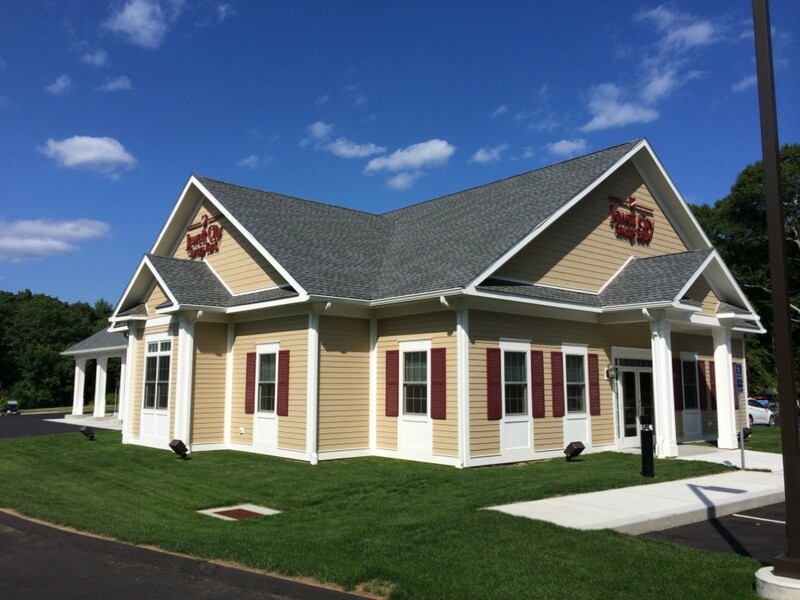 We were happy to work with Nutmeg Companies, located right next door, on this project. Once again, the importance in proximity becomes apparent. From what we have experienced, financial buildings had relatively simple specifications when it comes to glass and glazing. 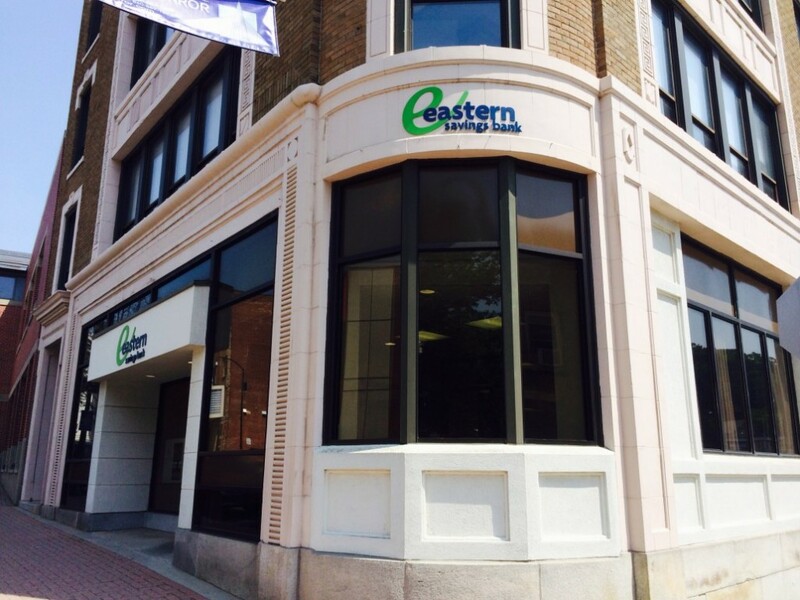 The Eastern Savings Bank, referred to earlier, was simple clear anodized storefront with an interior vestibule. This also may be due to the speed at which they wanted to complete this project. Lead time is a bid factor in the industry and the more standard product accepted, the faster the lead time. One aspect not considered in being awarded financial building projects is the difficulty of obtaining final job photos. It is a must to check into the building and make your presence aware. Otherwise, the bank may suspect you are taking photos for other means. This happened to an employee of ours first hand. A notable experience to say the least!